Behrendorff is looking stake his claim for a spot in the World Cup squad in the absence of the two senior pros. The left-arm picked 2/39 and 1/52 in the first two ODIs against India, before a sore back ruled him out of the decider, but he regained full fitness in time to retain his place in the squad and is looking stake his claim for a spot in the World Cup squad in the absence of the two senior pros. 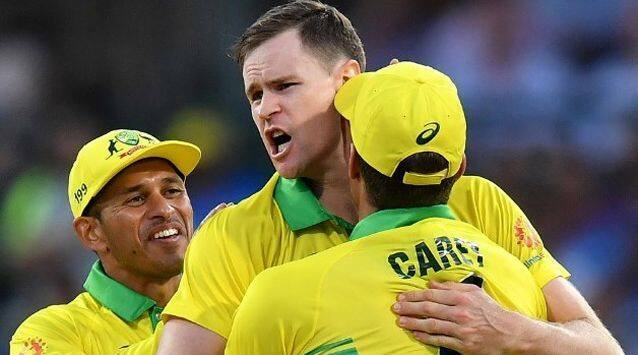 “It’s an opportunity to play well for Australia and with the World Cup coming up that’s on everyone’s radar at the moment, being such a prevalent tournament and such a good one to be a part of,” Behrendorff told The Sydney Morning Herald. The 28-year-old will have happy memories of the India as he made his T20I debut in India in 2017 and claimed a Man-of-the Match award in the second match for his 4/21 at Guwahati. 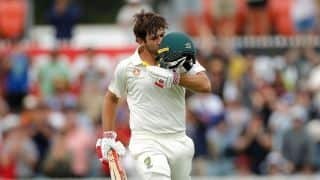 Since then injuries have curtailed his progress, forcing him to focus solely on white-ball cricket, which has paid dividends. “It’s unreal. I guess I look back at the decision I made a little while ago, in conjunction with the support staff, on focussing on the white ball. I’m really, really happy about that decision now,” he said. “I’ve had some great opportunities so far and I’m really looking forward to another tour with Australia. Given another opportunity it will be a great chance to prove my worth and show what I can do on the international stage and hopefully cement a bit more of a spot in that team,” he added. Australia begin their tour on February 24 with the T20Is at Visakhapatnam and Bangalore before playing the five-match ODI series starting March 2 at Hyderabad.